When the New York Jazz Society acquires a fifty-year old letter from Georgia Valentine, questions arise over the legendary vocalist’s death. Did she give herself a fatal dose of heroin, as the original investigators ruled, or did someone kill her? And if it was murder, what was the motive? Casey moves her operation from San Francisco to New York to investigate the cold case, interviewing Georgia’s musician friends, her widower, a drug dealer, a Broadway actress, a mafia boss and the authorities who declared the death a suicide. with an attractive detective from the Organized Crime unit, and, as the case progresses, so does their relationship. With no shortage of suspects, Casey ultimately uncovers evidence revealing a surprising killer. 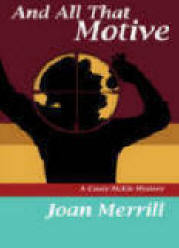 Author Joan Merrill has produced yet another captivating mystery as part of her on-going detective series featuring SF detective Casey McKie. As usual, Ms. Merrill has masterfully woven her love of jazz and its practitioners into a tale of intrigue and revenge, all set to the beat of the blues and be-bop. A colorful, exceptionally intelligent thriller, most highly recommended. 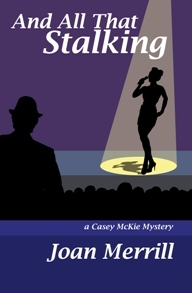 A well-constructed, slickly-told detective story that follows Casey as she encounters now-ageing people who were involved in the singer’s life, among them musicians, agents, former lovers, criminals, cops, archivists, fans, all of them realistically portrayed. (By the way, the author keeps the reader guessing and I was agreeably surprised at the identity of the killer.) For fans of crime fiction and jazz, the solid background will be a distinct plus. For readers unfamiliar with the jazz world, the unusual background and richly-drawn characters will be a refreshing change. 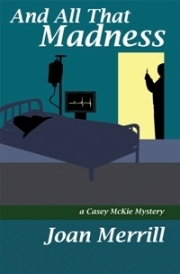 This is Merrill’s fourth Casey McKie tale (previous books reviewed here in January and June 2011 and September 2012) and this one emphatically underlines the writer’s many qualities, among which are her secure knowledge of jazz, her believable settings, and her light touch with dialogue. Definitely a good read. DOWNLOAD FROM audible.com or order CD FORMAT FROM THIS SITE.